(SPOILERS) The tepid response to the fourth Marvel Netflix series seems to have caught up with my general apathy towards their output, such that I’m almost left thinking, well, it wasn’t really that bad, was it? 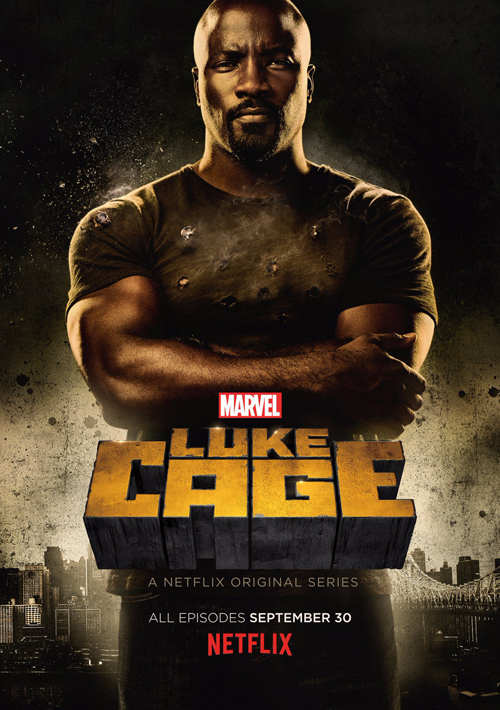 And Luke Cage isn’t bad, it’s just that it’s about eight episodes too long (so that’s about four longer than average Netflix season is too long) and takes most of them going nowhere especially interesting with what story it has. You’d be forgiven for thinking Netflix’s approach to TV superheroes hasn’t really made any leaps and bounds since The Incredible Hulk forty years ago. Those were self-contained, Littlest Hobo reset plotlines, of course, whereas this is almost exhaustingly serialised. I’ll never go back to wishing for such unmotivated days, but you have to actually have an ongoing story worth telling. 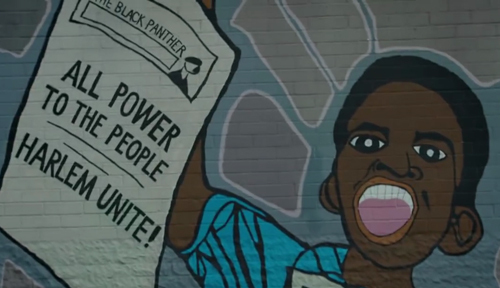 Luke Cage has a number of solid bedrock essentials; Mike Colter is an instantly more winning lead than Charlie Cox in Daredevil, and he isn’t beset by an irritating supporting cast like Cox. 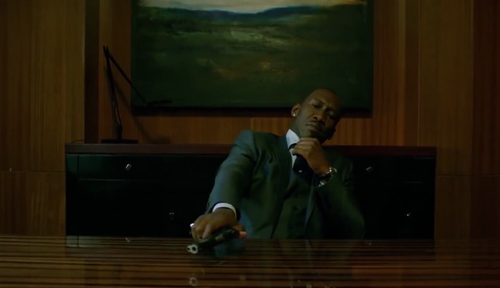 On the other hand, most of his supporting cast lack especially strong characters, from Simone Missick’s all-over-the-clichés cop Misty Knight to the selection of villains, local crime boss Cottonmouth (Mahershala Ali, from House of Cards, giving probably the best performance here), his ineffectively corrupt politician cousin Mariah (Alfre Woodard) and most of all the tiresomely OTT, Bible spouting loon that is Luke’s half-brother Diamondback (Erik LaRay Harvey, like Cox ex of Boardwalk Empire). Rosario Dawson is more successful as the returning Claire, and the most diverting interlude during the thirteen-episode slog has the wounded Cage taken to the doctor (Michael Kostroff) whose experiments imbued him with his super skin. But so little offers anything in the way twists, turns or surprises that would justify the show’s obstinate length; it lacks even the up-the-ante quality that usual happens with these Marvels about the midpoint. That’s when Diamondback enters, but he’s so risible a cardboard psycho, and his means of inflicting injury on Luke so uninspired, it made it difficult to muster even the dedication to even see the show through, all the way through to the limp showdown. Everyone here plays to expected types, from Frankie Falson being a loveable old goat to Frank Whaley turning out to be a bad seed (there was a time, a few decades’ past, when he also played good guys, but those are long since over). 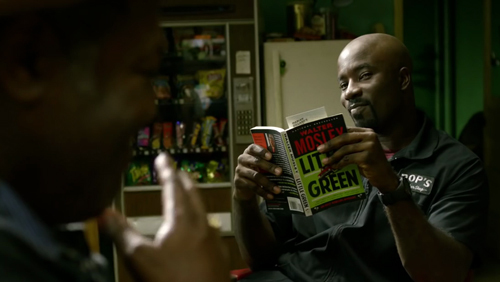 Luke Cage is the kind of show that even plumbs such corny depths as having a villain stop short of killing a lead character with “I’ll hurt you later. You’ll suffer more that way” (that might work in a comic strip panel, but the show is so devoted to faux-realism and a non-heightened milieu, it comes across as simply amateurish), when he has a clean shot, and bases a whole episode around a siege situation (in which bad guys don’t immediately deduce there must be a basement after Luke vanishes into thin air), something the most formulaic cop shows usually wait a season or two to fall back on. 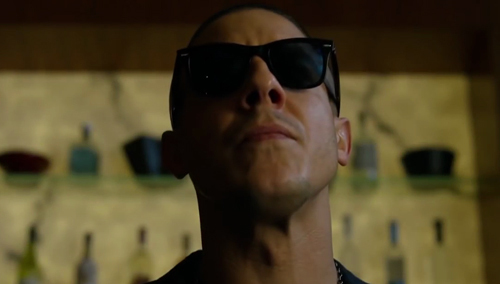 And what Theo Rossi, one of the least threatening or imposing actors around, is doing cast as a heavy, is beyond me. Removing and replacing his sunglasses mostly, while trying not to blink. Still, the music from Ali Shaheed Muhammad and Adrian Younge is exemplary, and this at least feels like the most comfortably brought to life of the Marvel series to date. 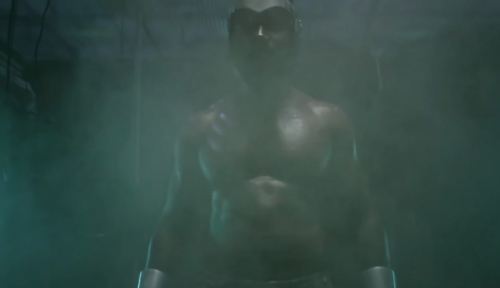 Unfortunately, Luke Cage just hasn’t found a decent story to tell; the pre-hype was big with “the world is ready for a bulletproof black man”, but was it ready for a show that does absolutely nothing of note with him, other than spouting rote platitudes ad infinitum? It’s unfortunate that Luke made a better supporting character in Jessica Jones, but without superheroic face-offs and fireworks these Marvel shows absolutely require dense twists and turns of plotting and sustained arcs to justify themselves, the sort of thing Joss Whedon did week in, week out across Buffy and Angel for nine years. Perhaps he’s answering his phone now the trauma of Age of Ultron is easing somewhat? 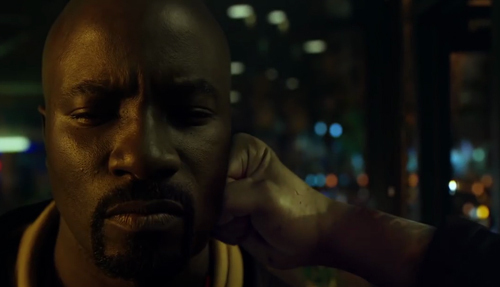 Luke Cage probably isn’t any lesser than Season One of Daredevil, but fatigue with the Netflix formula has now firmly set in, so it really feels its sluggishness. Is “That’ll do” really their yardstick?